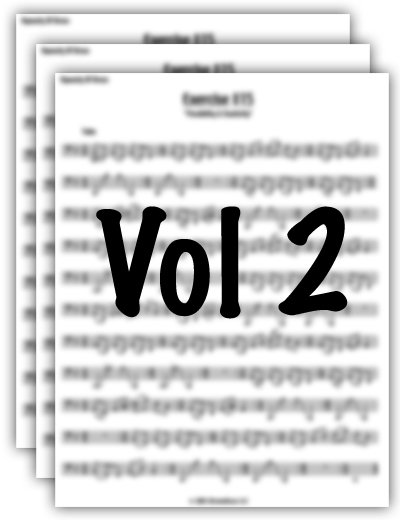 If you liked Volume 1, you’ll love Volume 2. Chocked full of great finger and slurring flexibility exercises this newest edition to Wayne's trend-setting library of brass technique products will make you stand up and shout. Without a doubt the hippest etudes published for brass players anywhere. All brand new and hot off the presses these multi meter brainteasers and unique slurring exercises will really develop your rhythmic accuracy and all types of jazz shakes and rapid lip slurs. Designed to keep your mind sharp and well focused the etudes move quickly through a variety of keys, articulations and technical challenges. Each etude has been designed to develop a particular brass performance technique in a minute’s time. "Don't Let The Chance Pass You By"